Hot off the craft sale spec sheets as a trending best seller....I give you the In Stitches version of Paperless Towels. 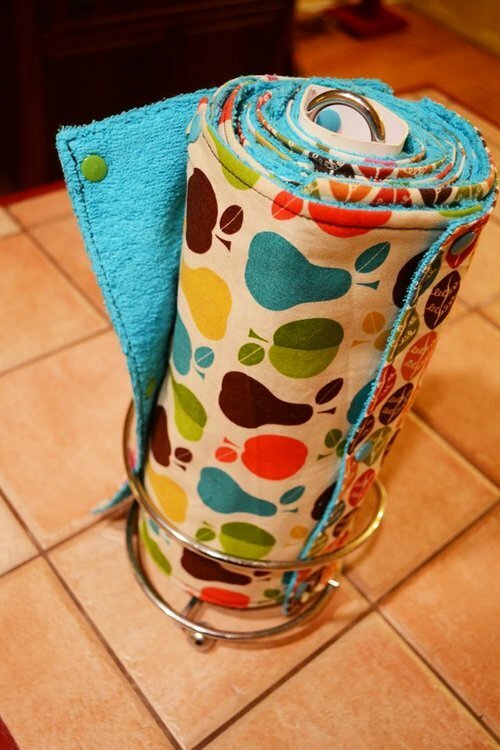 We will be learning how to choose and place a large design in our hoops as we stitch together these eco-friendly reusable towels for our home use. The purpose is to be able to reach for them just as you do the quicker picker uppers that are currently on your kitchen counter. Sew, let's place a cute cotton on one side, some absorbent terry on the other, stitch a cool in the hoop design pattern to hold them all together with cotton batting in between and shazaamm!, we have paperless towels you can use, wash a hundred times, reuse and save a tree. We're going to break out the Kam snaps to hold them all together, roll em up and place on that thar towel holder and feel good about being unique and aware of our environment. We will stitch 4 squares in class and add the snaps to get you going on what will be many more to come I'm sure. You're going to love this whole idea!